There is known rule: „Be smart – eat smart“. plan you meals in order to have better control of the amount you are consuming. Healthy lifestyle implies well eating with combination of constant physical activity. 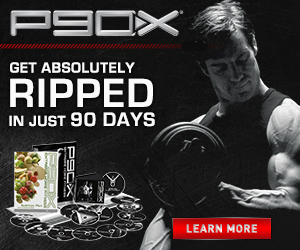 If you choose P90X program you must know that the diet plan is definitely the most important part of the program. 70 % of results come from your nutrition. If you take nutrition seriously, you will be stunned what P90X can do to your body. People who claim that P90X doesn’t give them lean and transformed body have to know that muscles are made in the kitchen not in the gym. P90X nutrition plan is made in conjunction with the P90X workout program that includes intensive resistance training routines. Main part of the P90X diet plan is to remove sugars, simple carbs, processed food and saturated fats. Portion approach – you follow the guidelines for how much of each type of food: fat, carbs, proteins, you eat each day. This approach is ideal for the planners and those who are good at organizing. This plan will give you an idea of how many servings of each food group you can have and how many calories each item contains. This way you can pick and choose which foods you want to eat. Meal plan approach – you are given a menu of all your meals as well as recipes. This way is better solution for those who like to cook. In order to do the meal plan you have to find out how many calories you should consume which will establish whether you follow Level I, II or III of the plan. First, you have to learn about P90X Calorie formula to know your daily calorie target. This requires several calculations based on your body weight, resting metabolic rate and daily activity level to come up with your energy amount. Simplified with the example it would go like this. Take your body weight and multiply by 10. This equals your Resting Metabolic Rate (RMR). Then add calories for your daily activity without calculating P90X +20%. Add your RMR, your Daily Activity Burn and 600 to figure out your Energy Amount. The energy amount is what you’ll use to figure out which level you should be in. Level 3: 3,000+ calories per day. Keep in mind that you can customize the P90X 3-Phase Nutrition Plan to your specific needs and goals, so you get the absolute best results from your program. The P90X Nutrition Plan begins with higher protein in Phase 1. This phase contains low calories intake in order to help you start losing weight in the first four weeks. Carbohydrates are reduced and protein intake is kept high to help with building muscle and burning fat. High-protein-based foods in this phase are designed to strip fat while strengthening your muscles. During this phase it’s recommended that you follow a ratio of 50% protein, 30% carb, 20% fat. This means that 50% of your daily calories came from protein, 30% came from carbohydrates and 20% from fat. Phase 2 offers a balanced mix of carbohydrates and protein, and lower amounts of fat. You’ll get an extra energy boost for enhanced performance. You will increase your energy in order to get further into the program. This phase is big relief for those who were missing carbohydrates, because in Phase 2, complex carbohydrates are added back into the plan to allow you to train harder. You can eat whole wheat bread, pasta or oatmeal. Protein intake also remains high so as to aid in muscle recovery. It’s recommended that you follow a ratio of 40% protein, 40% carb and 20% healthy fat. This phase is for devoted practitioners. Here is a higher amount on carbs to give you even more energy as you push towards the end. This phase contain complex carbs, lean proteins and reduced fat. Its focus is in maximizing the fuel available during the last few weeks of the system, helping you avoid plateaus and get chiseled and toned. This diet is called athletic diet. For best results, in all of the phases, try to eat frequent small meals and drink lots of water. You will need to drink eight 12 oz glasses of water per day on the program. You should be eating every few hours in order to speed up your metabolism by challenging it to keep processing calories. It’s recommended to wait three hours after your last meal, before you can sleep. This will help keep undigested carbs from being stored as fat. If you can’t control it, one small protein shake would be the snack of choice before going to bed. Eat real food like lean meat, eggs, low-fat milk and cheese, fresh fruits and vegetables, whole grain bread and pasta. While P90X is designed as a 90-day program, you might choose to alter your choice or timing of one or more of the phases. Keep a daily journal to mark your food intake as well as your exercises. This is one of the most powerful ways to successfully change your eating habits and to keep in track with your progress.